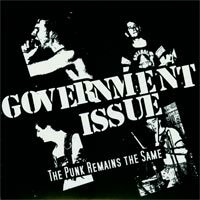 John Stabb and Tom Lyle of Government Issue have hand signed 50 Limited Edition numbered copies of this 7". Each copy of the 7" includes a unique and personal message by the band. CD copies include an extra track, "Sheer Terror".